The metamorphic touch is an extraordinary technique for personal transformation; releasing limiting or negative attitudes to life. During the session, the practitioner contacts the points on the feet, hand and the head that correspond to the prenatal time; our time in the womb. The belief is that during these formative nine months, our patterns of being become established, and are later played out (often unconsciously) in our lives. By working on the prenatal time, the practitioner allows for the recipient's inherent life force to loosen and release the patterns of behaviour that no longer serve us. 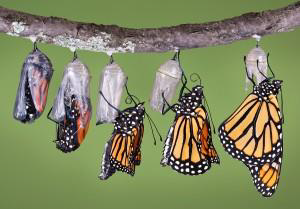 Whereas people might seek therapy because they want to be free from their symptoms, they have Metamorphic Touch sessions because they want to transform their lives. Sessions can be done on a massage couch or chair. Gentle, feather-like touch is applied to specific points on the feet, hands and the head. We contact these parts of the body as they are extensions of centres of our communication with the world; moving, doing, thinking. Most people find the sessions soothing and relaxing. Every session is a unique experience. The practitioner giving the session "gets out of the way" of the unique expression of life force that is within you. The inner intelligence that governs this life force knows best what needs to shift in your life in order to move you on. Therefore, there is no way of predicting the outcome of the session. However, people often report a sense of greater inner freedom, ease and flow; a sense of ‘coming home' to themselves. As their resistance to life melts away, the shift in their consciousness is matched by changes in their circumstances. They might embark upon a change of career, alter the place where they live, or find themselves in a new relationship. Often old habits drop away, past hurts are let go off and a new increased confidence arises. The sense of inner authority is strengthened and they find the power to follow this inner voice to make decision based on what feels right.